Bridge is partnering up with artist Rachel Shimpock and the Art Institute of San Diego for another Art + Activate workshop. Learn how to make a wearable piece of jewelry that features an image and quote from your favorite feminist. Wear your piece in solidarity with these women in honor for their courageousness and wisdom. 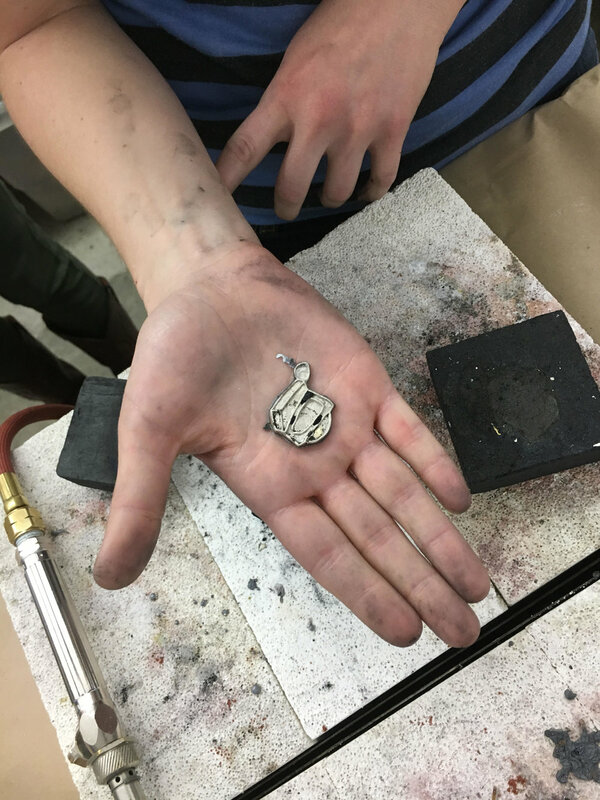 Each workshop participant will have the choice to make one pendant or one pair of earrings. Rachel Shimpock is a jewelry and metals artist from Huntington Beach, CA. She keeps the tradition of metal smithing alive by providing workshops to a community that welcomes a do-it-yourself kind of maker. Her ability and broad knowledge of techniques will give you the basic skills you need to create a wearable piece of jewelry. Her sharp witty humor and enthusiasm for metal, will have you returning for more!